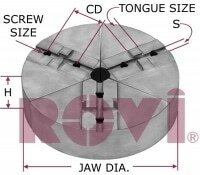 Chuck Jaws – Aluminum And Steel Jaws- » Rovi Products, Inc.
For Kitagawa®, Strong, Samchully, Buck, Bison and more! 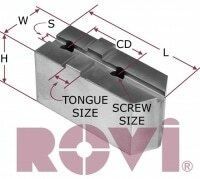 Rovi Products manufactures and distributes Chuck Jaws for Kitagawa, Samchully, LMC, Buck and other chuck manufacturers. 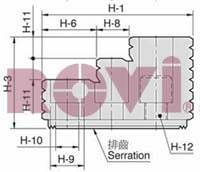 These Jaws are available in Metric Serrated (1.5mm x 60°), English (.0625” x 90°) and Standard American Tongue & Groove Style. Available for chuck sizes 4” to 15” in diameter from 1018 steel and 6061 aluminum, in standard and full circle styles. All of our aluminum jaws are manufactured from solid 6061-T6 aluminum bar. We are one of the few jaw manufactures that use solid 6061-T6 aluminum to make our Full Circles Jaws. Our inventory is continuously growing to keep pace with your needs. If you don’t see what you are looking for in our catalog, please ask! Hard jaws are available as well. See below to use our Chuck Jaw Finder Tool! Chuck Jaw Finder (Choose your manufacturer from one of the jump lists below). 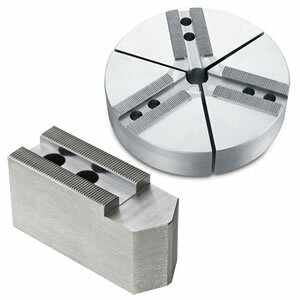 Our most popular Chuck Jaws can be easily ordered online. 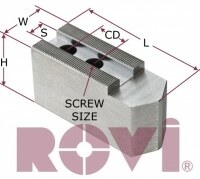 Just click on a category or use a dropdown list below to select Chuck Type and jump to the correct Rovi product. 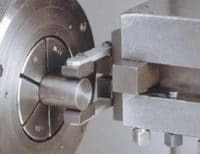 In the first of a two-part installment, a Haas certified machinist explores our recommended soft-jaw cutting techniques and the proper way to cut OD gripping jaws. 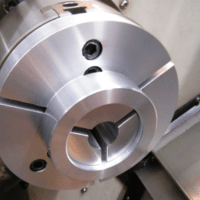 Part 2: Haas certified machinist guides us through more advanced lathe soft jaw cutting techniques, including ID gripping, re-cutting, and adding a taper to your soft jaws. Click here to download our complete PDF Catalog! 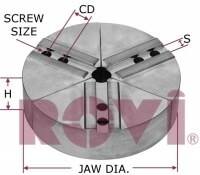 If you need Chuck Jaws that cannot be found in our Catalog, simply give us a call at (800)423-5145 and we will find or custom make exactly the jaws you need. 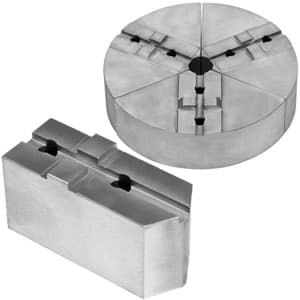 Select Chuck type (below) for ordering our most popular Chuck Jaws online (by category) that now includes 2 Step Hard Jaws for Hydraulic Powered Chucks.